Early Renaissance artists - Gentile Bellini, The Procession of the Cross, Venice. Early Renaissance artists - Gentile Bellini (1445–1510), The Procession of the Cross, Venice. The history of painting reaches back in time to artifacts from pre-historic humans, and spans all cultures, that represents a continuous, though disrupted, tradition from Antiquity. Across cultures, and spanning continents and millennia, the history of painting is an ongoing river of creativity, that continues into the 21st century. Until the early 20th century it relied primarily on representational, religious and classical motifs, after which time more purely abstract and conceptual approaches gained favor. 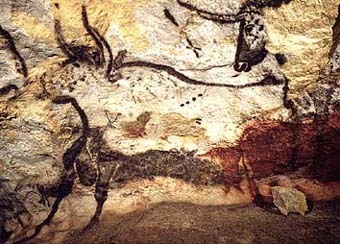 The oldest known paintings are at the Grotte Chauvet in France, claimed by some historians to be about 32,000 years old. They are engraved and painted using red ochre and black pigment and show horses, rhinoceros, lions, buffalo, mammoth or humans often hunting. There are examples of cave paintings all over the world—in France, India, Spain, Portugal, China, Australia etc. Various conjectures have been made as to the meaning these paintings had to the people that made them. 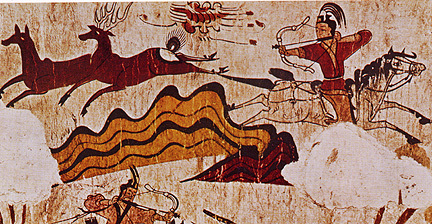 Prehistoric men may have painted animals to "catch" their soul or spirit in order to hunt them more easily or the paintings may represent an animistic vision and homage to surrounding nature, or they may be the result of a basic need of expression that is innate to human beings, or they could have been for the transmission of practical information. In Paleolithic times, the representation of humans in cave paintings was rare. Mostly, animals were painted, not only animals that were used as food but also animals that represented strength like the rhinoceros or large Felidae, as in the Chauvet Cave. Signs like dots were sometimes drawn. Rare human representations include handprints and half-human / animal figures. The Chauvet Cave in the Ardèche Departments of France contains the most important preserved cave paintings of the Paleolithic era, painted around 31,000 BC. The Altamira cave paintings in Spain were done 14,000 to 12,000 BC and show, among others, bisons. The hall of bulls in Lascaux, Dordogne, France, is one of the best known cave paintings from about 15,000 to 10,000 BC. Art history is not only a biographical endeavor. What are key features of this style? 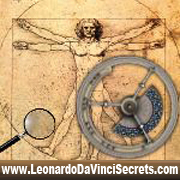 What meaning did this object convey? How does it function visually? Did the artist meet their goals well? and Does it function discursively? An art movement is a tendency or style in art with a specific common philosophy or goal, followed by a group of artists during a restricted period of time, or, at least, with the heyday of the movement defined within usually a number of years.